It was hot but not as the lineup for this year’s Shaky Beats Festival which took place last weekend of May 11th - 13th in the beautiful city of Atlanta, Georgia. 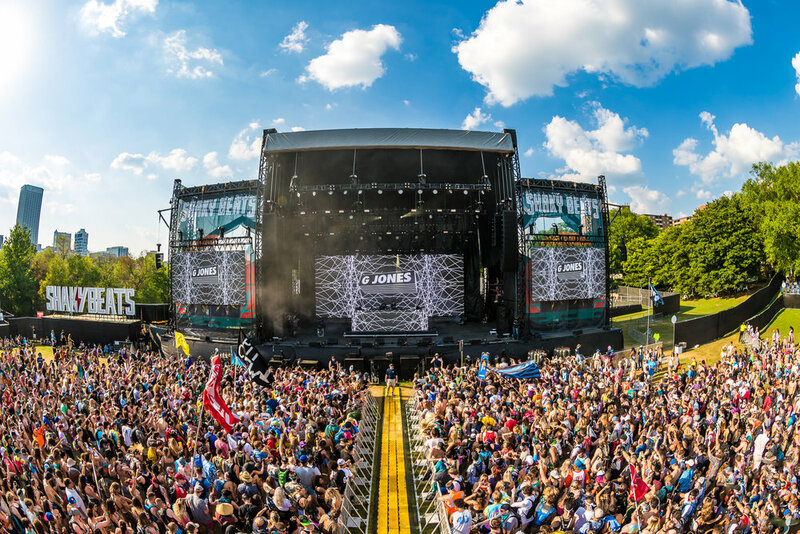 The Central Park was filled with wookies, bassheads, and hardstyle junkies for the 3-day event. It takes talent, imagination, and creativity to make a great festival, however, it’s the crowd and vibes is what’s a music festival memorable. The festival was spread out with four different stages, with tons of different food vendors for everyone to enjoy. 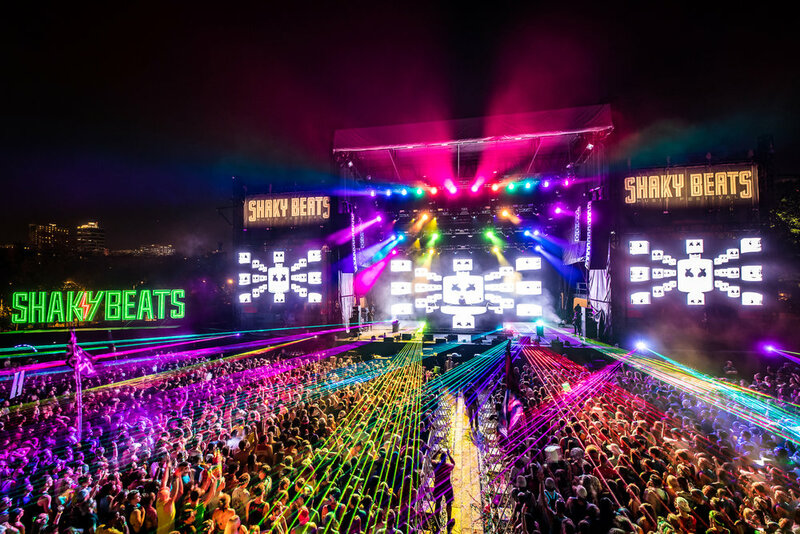 Besides from the impressive production and stage structures were the memorizing musical sets performed by the talented artists on this year’s lineup of Shaky Beats Festival. Friday, May 11th started off with BUKU at the Ponce de Leon stage following with some G Jones at the Peachtree stage before catching some Herobust at the Piedmont stage. For a first time newcomer it was a little difficult to navigate the festival but after the first day, it was incredibly easy. Near the Piedmont stage was the Samsung Galaxy S9 booth where experienced Galaxy owners can test out features the new gadget has as well as a virtual reality simulation. Mike’s Hard Lemonade had their own booth where attendees could play in a mini ball-pit or chill on one of their yellow hammocks, perfect for those Instagram posts. Ludacris took over the Peachtree stage playing favorites such as How Low, Money Maker and What’s Your Fantasy. Stroll over to Minnesota for his powerful and massive set at the Ponce de Leo stage, where the entire crowd was head-banging to the music. The final performance at the Criminal Records stage was set for heavyweight bass DJ/producer Space Jesus. The Criminal Records stage couldn’t handle the monumental bass and percussion that was produced by Space Jesus that night, making it one of the best performances of the weekend. Closing out the night was Marshmello at the Peachtree stage, playing all favorites. Saturday, May 12th was more intense and fun, starting off with a live set from Ookay following by an epic set from Borgore at the Peachtree stage. The Piedmont stage had prime tunes coming from Han Solo. Excision completely destroyed the Peachtree stage with his profound set along with those mesmerizing visuals. Closing out the Criminal Records stage was house favorite Shiba San playing another unbelievable set playing favorites such as Chance and Off To Funk. Closing out the Peachtree for the night is Grammy winner, multi-talented DJ, and producer ZEDD. It’s been a while since the last performance of ZEDD, playing all favorites like The Middle and throwbacks Spectrum and Clarity - completely losing it when those tracks were played. Overhearing a friend saying “best set ever” with excitement and passion, which was truly one of the best performances of the night. Louis The Child giving a fun-filled set aiming for all music lovers. Over at the Piedmont stage with Seven Lions giving a mammoth and liberating set. Playing favorites such as Rush Over Me, Higher Love, and Falling Away, throwing in some Above & Beyond and Vini Vici. The entire crowd was moving and dancing to every track and bass drop. 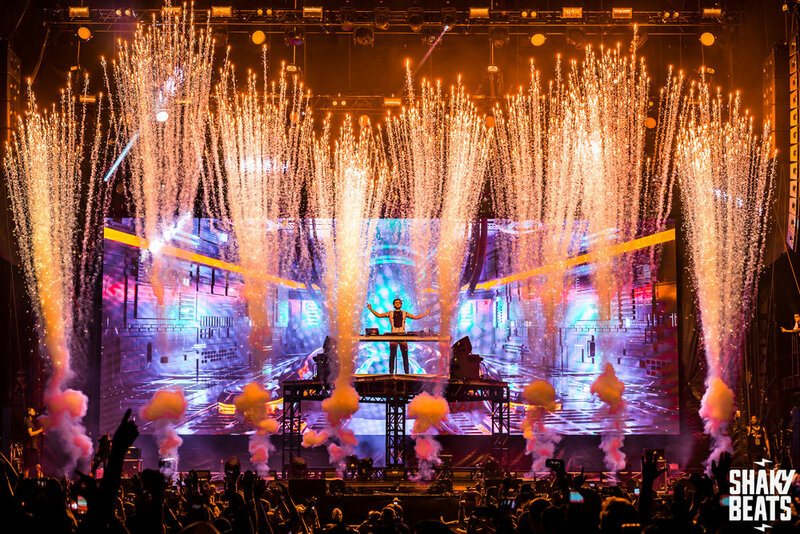 Closing the night was multi-talented artist Kygo, playing favorites such as Stole The Show, Stay, his Sexual Healing remix, and Firestone. Transitioning into house music even playing Camelphat - Cola completely showing a full range and diversity of electronic music. Completing the night and the festival with one of dance music’s heavyweight performer. 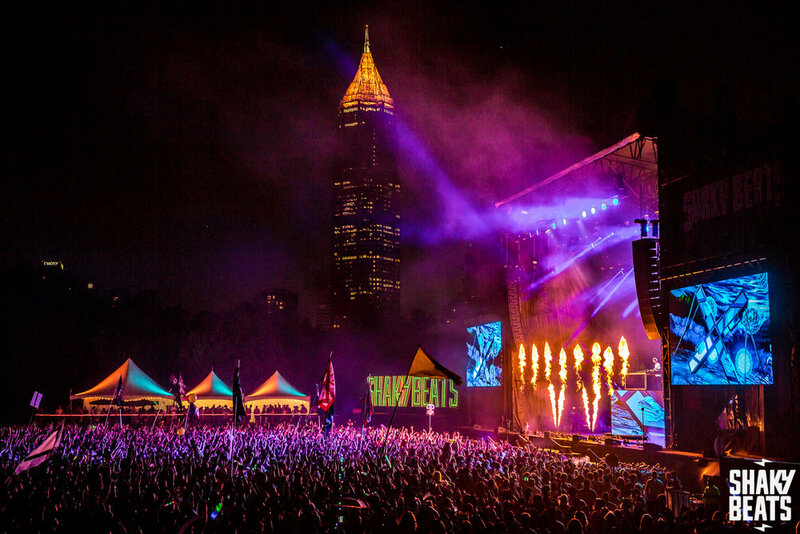 Attending and covering a music festival in Atlanta, Georgia gave a new sight and meaning to the dance music scene in America. The crowd was full good vibes and the perfect environment to make new friends and make new memories with old friends. Shaky Beats Festival was an incredible festival, already excited for next year.